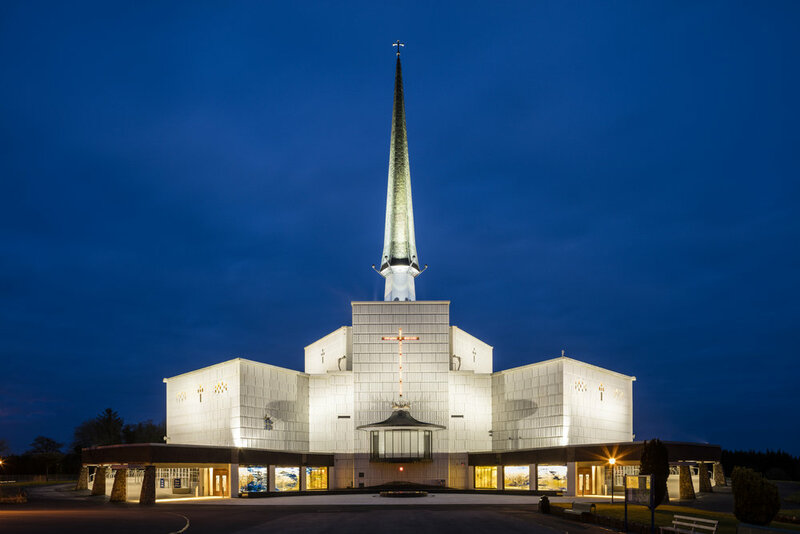 Designed by Architects Louis J. Brennan, Brian Brennan and Dáithí P. Hanly, Knock Basilica was officially opened on July 18 1976. The basilica has recently undergone a major upgrade programme, which was designed by A&D Wejcherts Architects, Dublin. 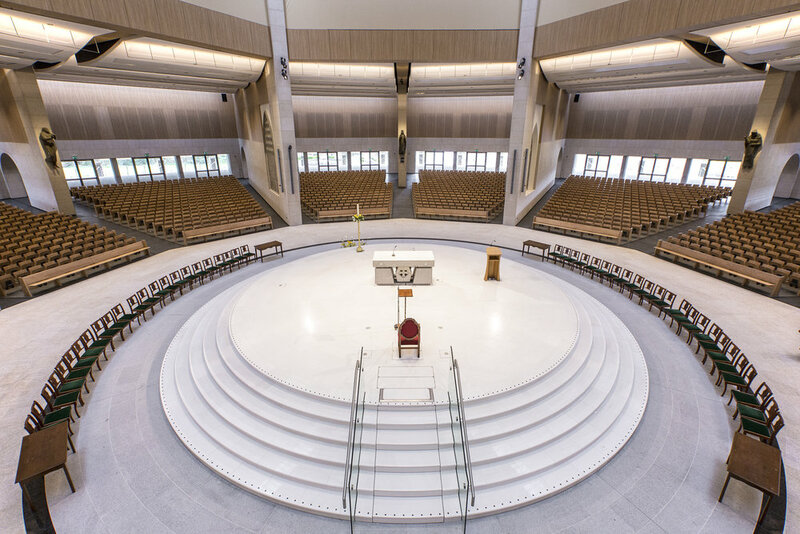 All internal finishes were replaced, a new marble sanctuary constructed, with new marble, granite, rubber, and oak finishes to floors and walls, and new oak ceilings over the sanctuary and curving plaster shells over the five Chapels. New pilgrim-friendly main entrances were provided, the Blessed Sacrament Chapel was redesigned, and new artworks on the themes of ‘Apparition’ and ‘Pilgrimage’ were integrated into the building. Access: Guided tour by Fr. Richard Gibbons, P.P. begins at 11am on September 30 2017 for the duration of 40 mins. Visitors to meet at the front entrance. This is a free tour but booking is required.